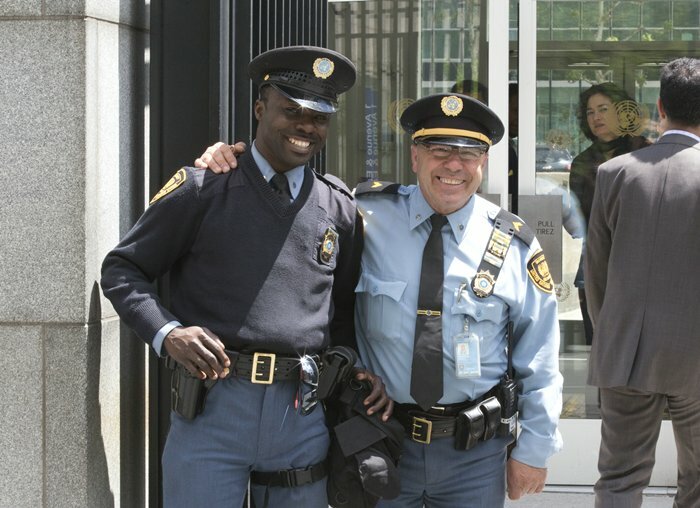 United Nations, New York, USA, May 13 2015 – Members of the UN Police greeting people walking into the UN Headquarters in New York. Behind the friendly smile and the helping hand hides one of the best trained soldiers in the world. Behind-the-Scenes Photo Series: Working or happening privately without being known or seen by the public.